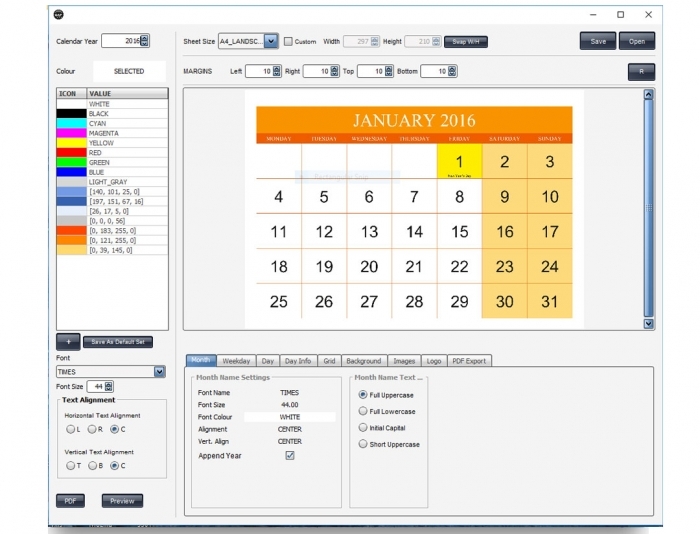 Pyxis Calendar is a software application for creating custom calendars and year planners. It represents great value and is very easy to use. This product is available on a 12 month licence basis. 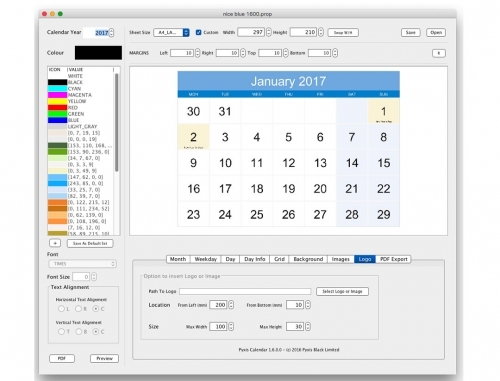 Pyxis Calendar makes it incredibly easy to create calendars and year planners. Simply choose the year and click Create PDF and you will have a default A4 Months-Only calendar created almost instantly. However, you can optionally change the size, fonts, colours, grid and even and images together with a custom logo and text. It is also possible to create ‘Month per Row’ year planner and a 3 or 4 column rectangular month year planner. 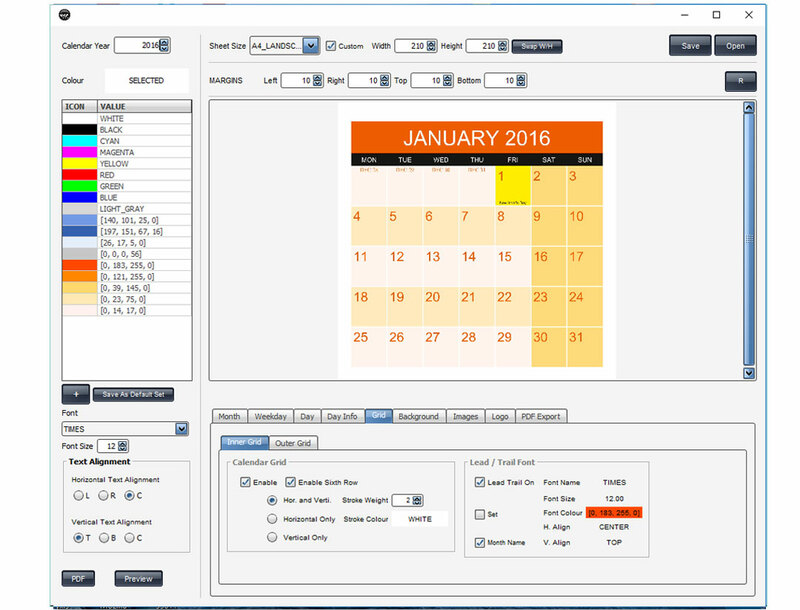 For either the calendar or year planner, you can add your own ‘Special Days’, such as public holidays, birthdays, festival days, etc. 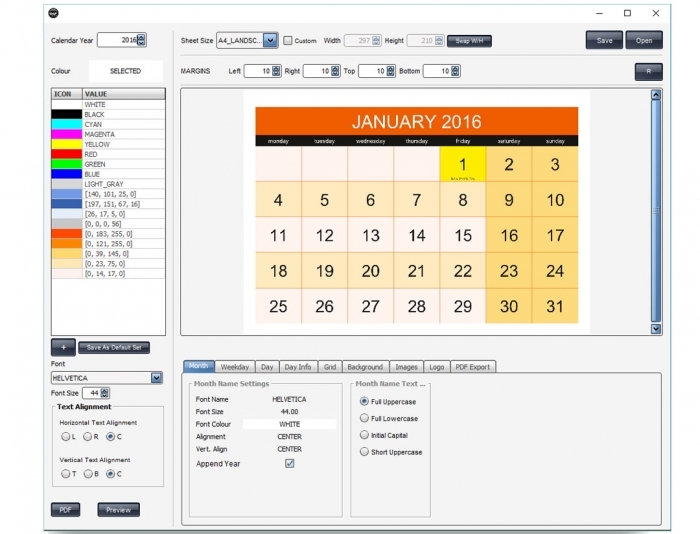 It is also possible to choose a fixed five row grid or a dynamic grid, which will include a sixth row when a month spans 6 weeks. 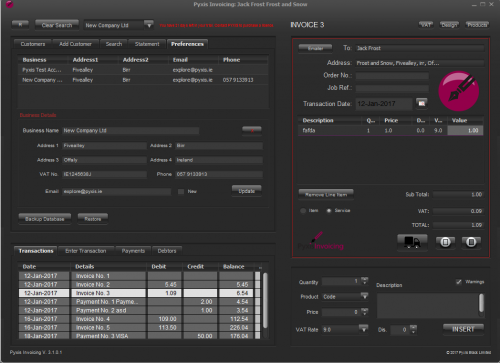 In addition you can optionally include leading and trailing days, also formatted to your font and colour choice. 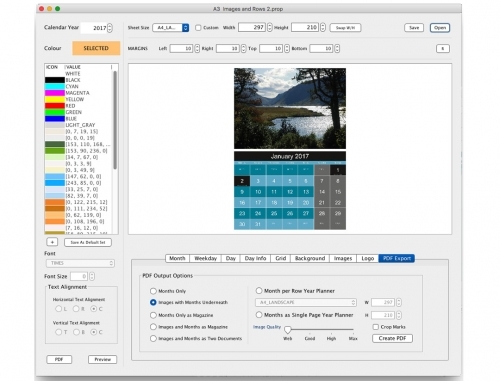 When this option is selected, these days are included in any blank spaces within the grid. This latter option is only available with the dynamic five – six row grid is selected. When the Images with Months Underneath option is selected, you will simply choose a folder of images. These images will be placed in alpha numeric order, being reduced or enlarged in proportion to fill the available space, honouring your border choices. Depending on the intended end use for your calendar, four quality settings are available, ranging from WEB to MAX, at 72dpi increments (72, 144, 216, 288). 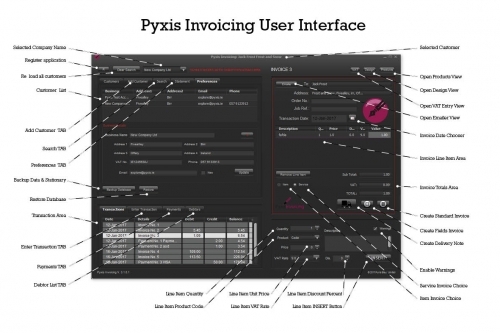 Note that Pyxis Calendar, similar to all Pyxis Products, is sold on an annual licence basis.